One of the largest cryptocurrency exchanges in the U.S., Coinbase is introducing a suite of new features to their flagship trading platform GDAX in their rebranding to Coinbase Pro. The platform renovation includes a wallet-to-wallet trading function for ERC-20 enabled tokens through the acquisition of Paradex, a cryptocurrency relay platform. Processing $380 million in daily volume, Coinbase’s professional trading platform GDAX is currently the seventh largest exchange in the world by daily volume. Announced today, GDAX will be rebranded into Coinbase Pro – a redesigned interface for active cryptocurrency traders. Announced earlier today, GDAX will be rebranded to Coinbase Pro – adding “services like staking and protocol voting that are distinct to crypto” as well as several other features to enable ERC-20 token trading. In a completely redesigned UI, Coinbase Pro will introduce simpler withdrawal and deposit features, a new chart system, and access to consolidated portfolio view. 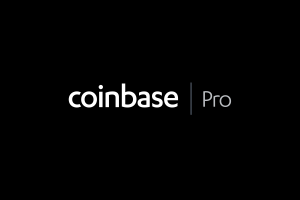 According to the San Francisco-based exchange, the new design of Coinbase Pro is aimed towards making “the trading experience easier and more intuitive” for the active cryptocurrency trader. The platform redesign is already accessible to current GDAX users and will run in parallel with the original platform until June 29, 2018. In an effort to further simplify the buying and selling of cryptocurrency and reach a global audience, Coinbase has acquired cryptocurrency relay trading platform Paradex to integrate wallet-to-wallet trading functionality into their new Coinbase Wallets within the next few weeks. Once connected to a user’s wallet, Paradex enables direct wallet-to-wallet trading of ERC-20 tokens through its relay platform running on the 0x protocol. 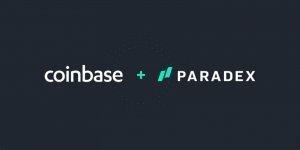 Coinbase has acquired Paradex, a relay platform for trading cryptocurrencies directly from an ERC-20 enabled wallet.